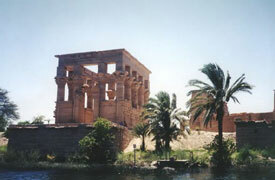 Aswan is a small city of approximately 250.000 Residents. Aswan was, and still is, an important stop-over for the camel route from Khartoum to the camel market at Darau, about 40 km from Aswan. On a trip to Abu Simble, one can often spot a herd of camels coming to and from crossing the Libyan Desert. The camel drivers are friendly but usually only speak Arabic and their local dialects. They will pose for photos in exchange for chocolate bars, fruit or dates. 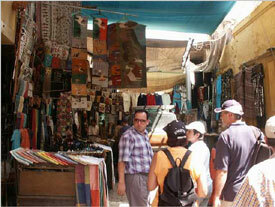 Aswan has a vibrant "souk" or bazaar where you can wander in comfort and find the delights of the orient. Spices, herbs and natural health products abound. 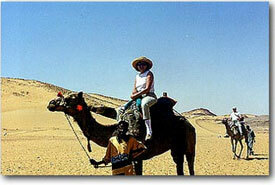 Tours of the above temples and other places of interest in Aswan can be arranged by the Travel Desk in the hotel.